Food safety is a crucial part which is involved in procurement, processing, and storage of food. It is done to prevent the occurrence of various foodborne illness. A vital component to ensuring this the presence of Hazard Analysis and Critical Control Point. It prevents the food from physical, biological and chemical hazards during processing.It ensures that the final product is safe and risks are reduced to a safe level. It is present at every level of the food chain and is adopted by USDA and FDA. HACCP certification is an important step for every food business owner, however as per ‘The Food Safety and Standards Act, 2006’. It was the creation of World Health Organization and UN’s Food and Agriculture Organization to prepare international guidelines, codes and standards of food safety. 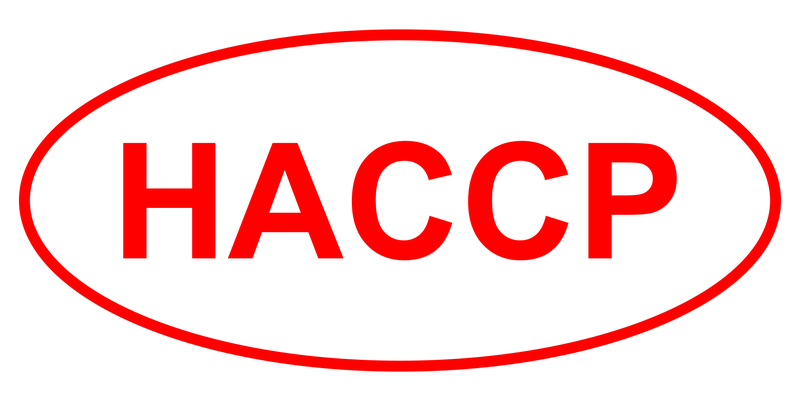 HACCP covers the industry of Fruits & Vegetables, Dairy Products, Fish & Fishery Products, Nuts & Nut Products, Meat & Meat Products, Bakery & Confectionary, Hotels, Spices & Condiments, Cereals, Restaurants and Fast Food Operations etc. The various biological hazards are parasites, microorganisms like prions, viruses, bacteria, fungi, algae and mycotoxins of molds. They are controlled by pasteurization, sterilization, radiation and preventing contamination during packaging. The various chemical hazards are animal and plant toxins, pesticides, fertilizers, residual chemicals, food additives and other hydrocarbons. They can be controlled by inspection at each step. Physical hazards are the presence of foreign materials like glass, wood, stone etc. removed by inspection during processing. The various critical limits are time, temperature, humidity, moisture content, pH, preservatives, salt concentration, available chlorine and viscosity. Plans determine the food safety hazards and identify the preventive measures the plan can apply to control these hazards. A food safety hazard is any biological, chemical, or physical property that may cause a food to be unsafe for human consumption. A critical control point (CCP) is a point, step, or procedure in a food manufacturing process at which control can be applied and, as a result, a food safety hazard can be prevented, eliminated, or reduced to an acceptable level. A critical limit is the maximum or minimum value to which a physical, biological, or chemical hazard must be controlled at a critical control point to prevent, eliminate, or reduce that hazard to an acceptable level. Monitoring activities are necessary to ensure that the process is under control at each critical control point. In the United States, the FSIS requires that each monitoring procedure and its frequency be listed in the HACCP plan. These are actions to be taken when monitoring indicates a deviation from an established critical limit. The final rule requires a plant’s HACCP plan to identify the corrective actions to be taken if a critical limit is not met. Corrective actions are intended to ensure that no product is injurious to health or otherwise adulterated as a result if the deviation enters commerce. Validation ensures that the plants do what they were designed to do; that is, they are successful in ensuring the production of a safe product. Plants will be required to validate their own HACCP plans. FSIS will not approve HACCP plans in advance but will review them for conformance with the final rule. Verification ensures the HACCP plan is adequate, that is, working as intended. Verification procedures may include such activities as the review of HACCP plans, CCP records, critical limits and microbial sampling and analysis. It also includes ‘validation’ – the process of finding evidence for the accuracy of the HACCP system (e.g. scientific evidence for critical limitations). The HACCP regulation requires that all plants maintain certain documents, including its hazard analysis and written HACCP plan, and records documenting the monitoring of critical control points, critical limits, verification activities, and the handling of processing deviations. Implementation involves monitoring, verifying, and validating of the daily work that is compliant with regulatory requirements in all stages all the time. Due to diligence defense in court. New to your blog. Stumbled upon it browsing the web. Keep up the great work. I am hoping you update it regularly. I like the helpful info you provide in your posts. I will bookmark your blog and check again here frequently. I’m quite sure I’ll learn many new stuff right here! Good luck for the next!